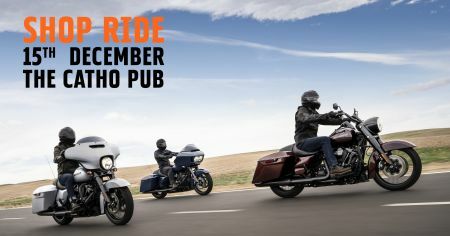 Join the team at Central Coast Harley-Davidson® for the final shop ride of the year headed to Catherine Hill Bay Hotel. We will be leaving at 4pm on Saturday the 15th of December, so make sure you arrive before our departure! Entertainment on the night provided by band "The 3"